"Tilson Thomas seems happiest in the slow movements, where he encourages the San Franciscans to fill his generous paragraphs with their sumptuous tone. The playing throughout is one of the joys of this set, with characterful woodwind soloists (featuring especially perky clarinets) aided by a recording of remarkable clarity. Again and again the ear is caught by a detail – an inner string motif or a little wind commentary – that is so often swamped. 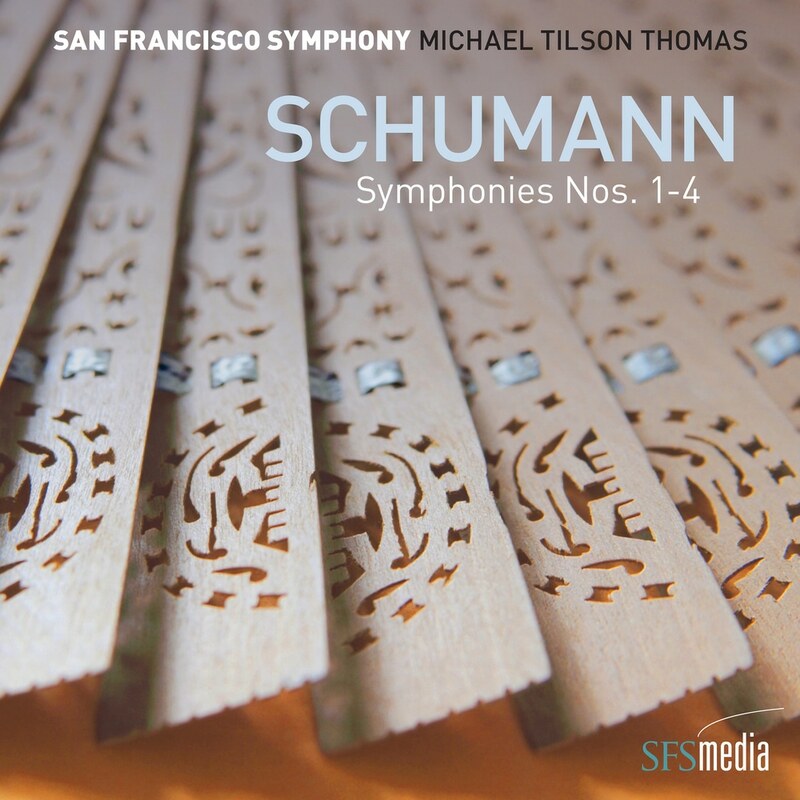 This clarity, though, once more gives the lie to the received wisdom that Schumann was an orchestral amateur and reveals not only his personal appreciation of sonority but also his command of symphonic architecture." Produced by the Symphony’s in-house record label SFS Media in the highest quality audio.